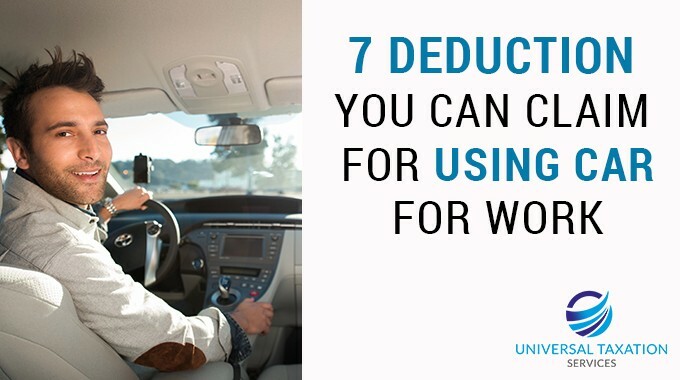 If you are claiming deductions for using your own car for performing work-related tasks or other employment duties, it is treated as work related car expenses. While using someone else’s car for performing work purposes, one can claim direct costs including fuel as a travel expense. If the travel was partly private, one can claim expenses of the work-related portion only. One can claim expenses if one’s own car is used for performing your job. How to claim tax deductions for using your car for work? There are two methods to claim car expenses as the owner of the car. You cannot claim anything if the car belongs to your employer or is an integral part of the salary package. Keep a comprehensive record of business-related expenses especially related to your car. Through this method, you can claim the cost involved based on every business kilometre you travel. Under this method, you can claim up to 5,000 kilometres per year, and per vehicle. If the travel exceeds 5000 kms, then do not file through this method. The claim value here is calculated by multiplying business kilometres travelled at the rate of 66 cents per km. This figure includes depreciation of the vehicle too. No written evidence is required when opting for this method; however one might have to demonstrate the same with a diary copy of the travel details. Your claim through this method is based on business use percentage of car expenses. A log book must be kept for at least 12 week period and updated every 5 years. One can claim all expenses related to the car, based on business use percentage. All business journeys need to be recorded over the 12 week period detailing the start and end of the journey, car’s odometer readings, total kilometres travelled, and business percentage for the period. You will need all receipts of journeys throughout the year to justify claims including insurance, maintenance and repairs. Petrol can be gauged from odometer readings for the year along with total kilometers travelled. Depreciation is calculated at the rate of 25% of recorded car value. Claiming tax deductions on the car expenses used for work can be tricky. You can choose any of the methods mentioned above for recording car-related expenses for work and then proceed to stake claims on the same. Do take assistance with Perth tax experts in case you get stuck with the tax returns filing process. Posted in tax tips, tax tips driver and tagged car, deduction, driver, tax, tips.